Gloves are a promotional product that can be used by all and will be greatly appreciated by your customers and business clients in the colder months of the year. Hand these promotional products out at events and exhibitions and produce endless brand impressions on your target audience. Through Winter it becomes essential to wrap up warm and gloves printed with your corporate design will be sure to compliment your clients outfit as well as keep them warm. In this category you will find all kinds of styles to choose from, we stock soft-shell thermal gloves, for when temperatures drop right down to freezing, there are waterproof and windproof ones, as well as gloves made from polyester fleece, there are some that come in scarf and hat sets, as well as several designed to let you use touch screens. Essential for tech users on the go. 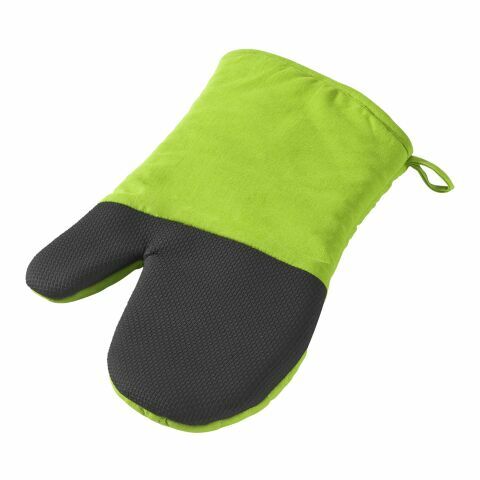 Have a look through the allbranded shop to find the right promotional gloves to suit your business. Gloves were originally used for decorative purposes, or to protect the hands during dangerous or hazardous work. The Pharaohs of ancient Egypt wore them to show their rank, and Egyptian women wore mittens to protect their hands whilst eating. The romans also used gloves for eating, which were made out silk, because at that time they did not use cutlery. From the 12th century onwards, gloves became popular fashion accessories made from silk and adorned with jewels, they were viewed as a symbol of elegance and wealth. Today, gloves come in a plethora of styles and are much more commonplace, they are used both to keep warm, to protect the hands, and also as fashion accessories. Logo printed gloves will not just warm potential customer’s hands, they can also warm them to the idea of doing business with you! By investing a small amount into high quality, soft and padded gloves, your logo will be seen by many of the public. Accessories are not just items we adorn to keep warm, they are extensions of our personalities, what we choose to wear can say a lot about who we are as a person. By distributing promotional gloves, you will help your clients to express themselves. Here at allbranded, we can print your logo strategically on a high quality pair of gloves that you can give to new and existing customers, you (your brand) could be present at important business meetings and interactions all across the country. A pair of branded gloves costs relatively little when you consider how long they will last and hopefully be used for. Do not confuse the cost with the effect however. You do not always have to spend loads to find success in advertising, you just need to spend it in the right places. promotional products are a traditional form of marketing that has stood the test of time. It is simple to do and cost effective. Apparel that is stylish and comfortable will help to raise awareness of your brand, which can only be a good thing? There is just something much more special about being given a free t-shirt, promotional caps or pair of gloves, as opposed to just another business card or keyring. It makes a business stands out and will make your customers feel valued, ensuring they remember your company. These promotional accessories items can be handed out as part of gift bags at events and exhibitions, to set yourself apart from the crowd. You could fill these gift bags with other promotional merchandise, such as scarves, hats, and logo printed sunglases, to give your clients promotional items to wear through all the changing seasons. This will ensure no matter what time of year, their outfit will contain an item with your branding across it. HOW CAN I CUSTOMISE MY BRANDED GLOVES? There are many ways you can customise your gloves to make them match your business aesthetic. From choosing the base colour and style, to having your corporate design printed on the front. If you have any questions about where to begin, please feel free to contact our sales specialists who can help you at any stage of the ordering process. From designing to placing your order, right through to delivery, we are here to help.